Jamaica is not just a beach! On some islands, you go to the beach. After that you go to the beach. Going to the beach is fine, but if you want to do more, Jamaica is not just a beach! 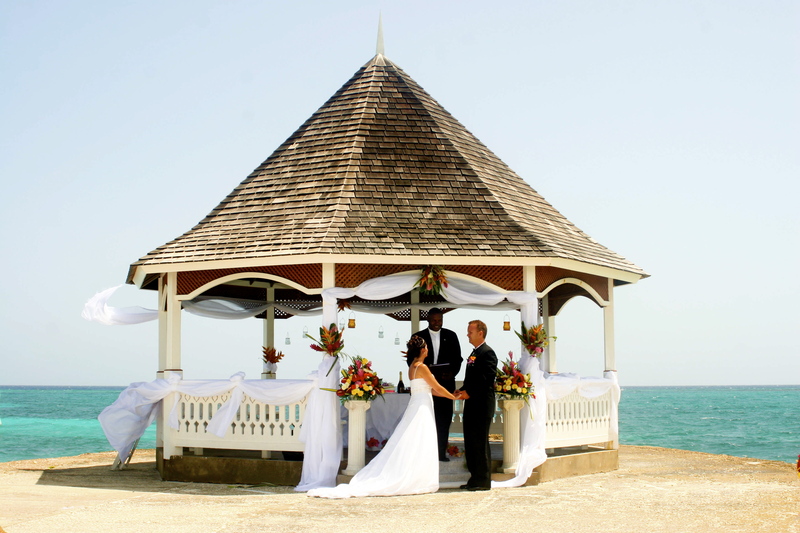 Jamaica is a mountainous country with an abundance of attractions, sights, and activities. Rivers and waterfalls, mountains and valleys, and an abundance of flora and fauna. Do you want to do things that most visitors never even hear about? Are you searching for some local culture, some busy streetlife? Want to try some Jamaican streetfood? Visit the Rastaman, Ezekiel and learn about his way of life. 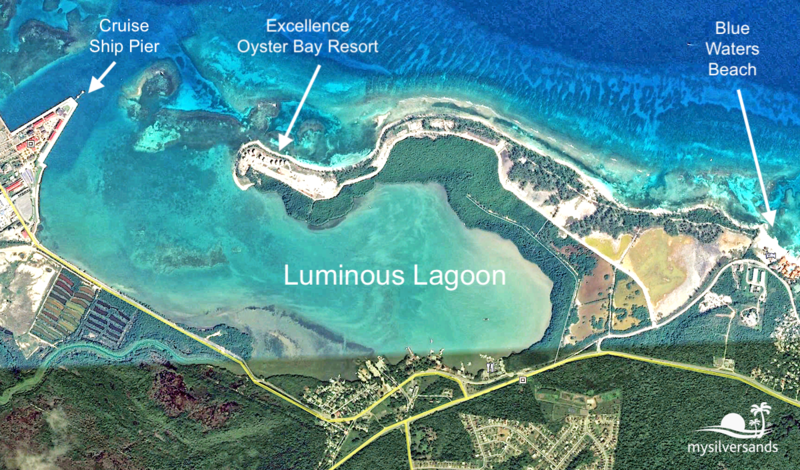 Experience the amazing bioluminescent Luminous Lagoon on paddleboards and kayaks. 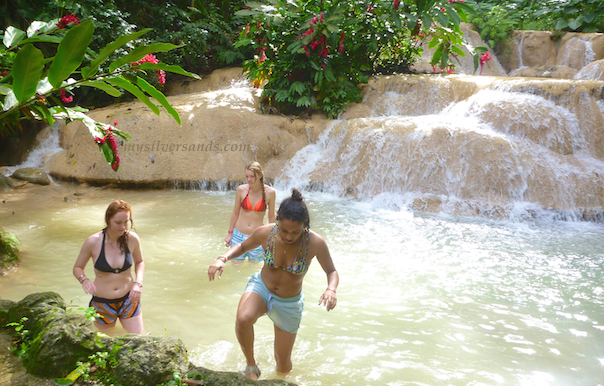 Just a few minutes drive from the main road, near the Cruise Ship Pier in Ocho Rios, you will find the beautiful property, Turte River Falls and Gardens, with cascading watefalls, more gentle than Dunn's River Falls, an atrium, fish pond, and much more. I am writing this on the island of Oahu where I am visiting my son. We kite together here, and the Hawaiian waters are beautiful. But I've never experienced anything like that emerald color outside the reef at Burwood Beach at White Bay, just a few miles West of Silver Sands. Every year, on the first weekend in December, Negril hosts the Reggae Marathon, Half Marathon & 10K. Runners from all over Jamaica and the rest of the world visit this tourist paradise for the early morning competition. Whether you are a serious runner or just starting out, one thing you can be sure of - you will have lots of fun, as this race is unlike any other in the world. Get more details on The Reggae Marathon. 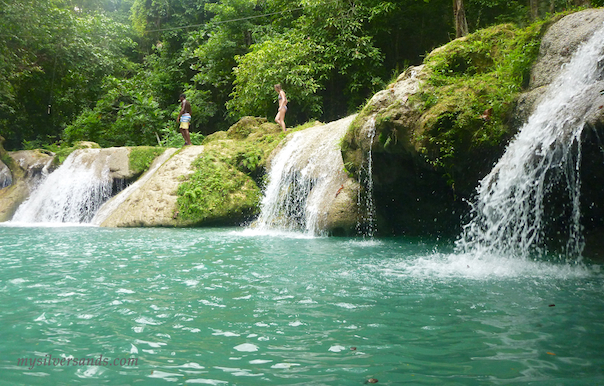 Blue Hole is an unofficial, unlicenced attraction located a few miles South of Ocho Rios. A local self-proclaimed guide will offer his services to take you on a tour of the river where you visit many swimming pools formed in the rocky river bed with beautiful waterfalls and hidden caves. Sweet Caroline's Unique Body Care takes the stress out of traveling with luxurious spa treatments in the comfort of your villa. Special online booking offer available. 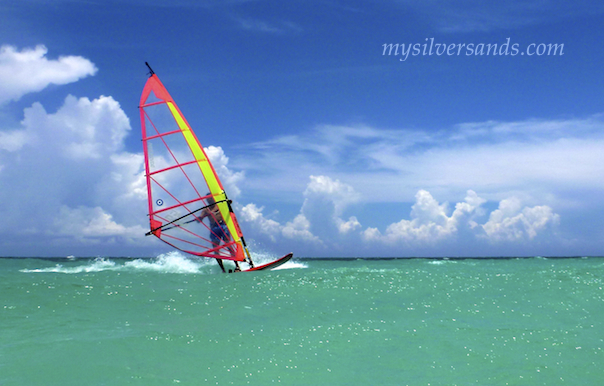 For the windsurfing enthusiast traveling with friends and family, Silver Sands is a dream vacation come true. 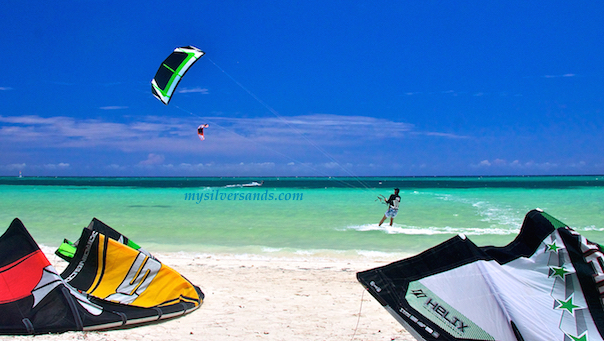 As not everyone in the party may be into windsurfing, one has to consider what the non-windsurfers will do other than spend lazy days on the beach. This sport is a dream as the learning curve to have fun is very short. Anyone can stand in the sea, hold the foam board in front of his body and move forward on it when a wave approaches, allowing the force of the water to propel him to the beach. With practice, those rides to the beach become smoother, longer, and faster. Meet and shop with a Jamaican Craft Vendor. These men and women can be found all over the island, especially near the tourist resorts and attractions. In the craft markets, they tend to be aggressive, hustling for business as there is a lot of competition among themselves. In more remote areas and when found on their own or in small groups, you can get to know them and enjoy their company with no pressure to buy anything. Follow this link to meet Ringo, craftsman who plies his trade at Blue Lagoon, near San San villas in Port Antonio. We offer transportation services to all the above tours and attractions. We also offer Discount Transportation Packages. Go to Transportation.